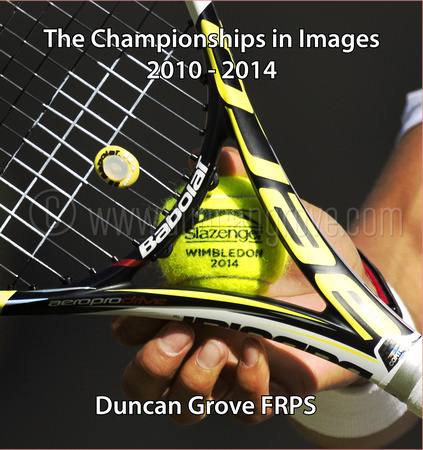 Duncan Grove FRPS Photography Blog » Duncan publishes new Photo-Book of Wimbledon Tennis Images. Titled “The Championships in Images 2010 – 2014”, Duncan’s new book is a photographic celebration of the Wimbledon Tennis Championships. It has a limited edition of just 100 copies, each one being personally signed by Duncan. 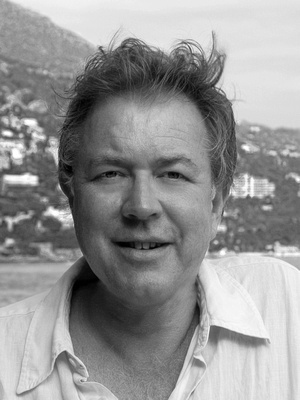 It has been published to complement Duncan’s Exhibition of fine-art large-format photographic prints; for the second consecutive year this is being held for the duration of the Championships at the du Vin Cannizaro House Hotel, Wimbledon Common, London’s only 5* country house hotel and located just a stone’s throw away from the AELTC. Whilst not doing the high-quality presentation justice, a pdf version of this bound collection of prints can be downloaded here. It can be viewed and purchased at the Exhibition as well as local Wimbledon shops and can also be ordered on-line here. Stop press. To date Novac Djokovic, Boris Becker, Andy Murray, Jo-Wilfried Tsonga, Roger Federer, Rafael Nadal and Laura Robson have all kindly signed a copy of the book. Duncan is considering ways to auction this special signed copy for charity. 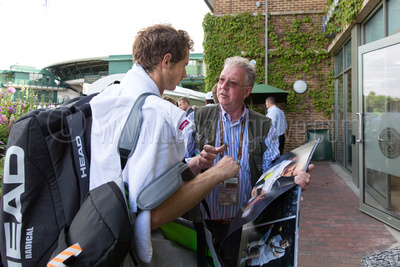 Andy MURRAY (GBR)  chats with Duncan Grove FRPS after kindly signing a copy of Duncan’s new photo book. Image courtesy of Heathcliff O’Malley Photography. 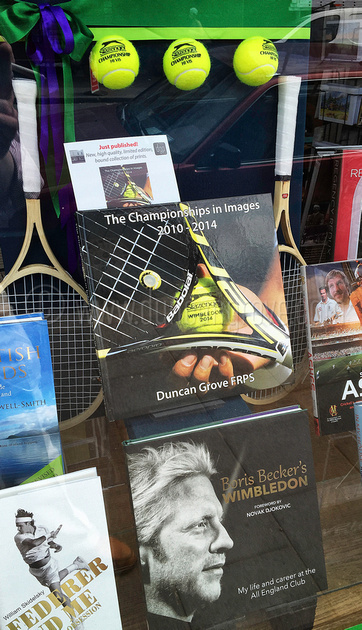 Duncan’s new photo-book as centre-piece display in the window of Wimbledon Books and Music in Wimbledon Village. Gratifyingly, it is positioned above Boris Becker’s major new publication! !